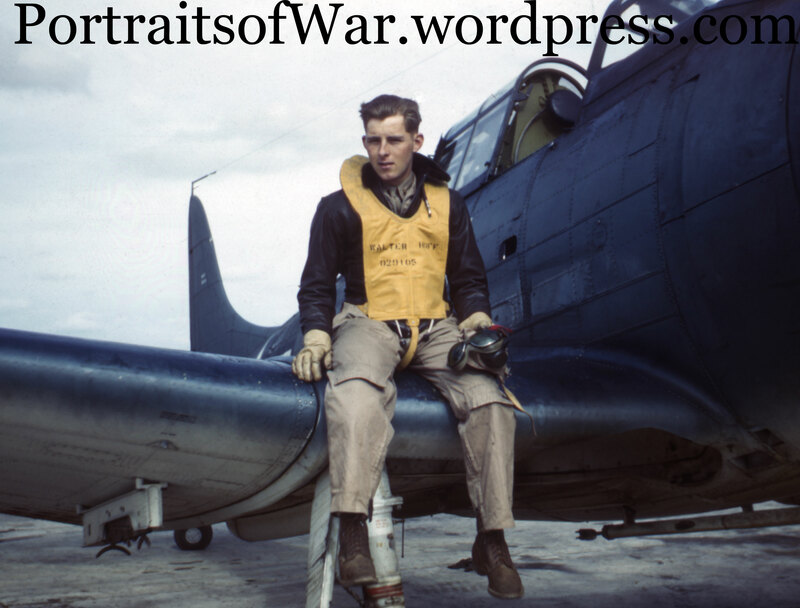 I’ve been lucky enough to acquire another 1944 color slide to add to my growing collection of slides from Walter Huff, a WWII Marine pilot. This one is especially interesting as it shows his name on his yellow inflatable life vest. Slick hair too!